Hey guys! I am extremely sorry i could not talk to you guys or update my blog sooner!I am really sorry...actually what happened was that....I AM BACK IN AMERICA!! So i didn't have internet for a while,before and/or after i arrived, so i couldn't tell you... but don't worry! I will be updating 10x more than before(hopefully through schoolwork !! because I'm back to the sweet stores like Michaels !! And in summer i'll have tons of supplies....plus in the meanwhile i learned a bunch of great tips so I'm good! 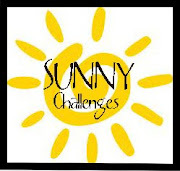 P.S.Sunny challenges is having a huge twist that i think you'll all love! Its good to see you back in the blogland ..so glad to know you have reached U.S and your fave crafting store :) ...looking forward to seeing some amazing creations from you :) ...and also the twist in the Sunny challenges :)..Hmmm.quite intrigued actually :) !! Oooooo a twist in Sunny Challenges!!! Hi Anushka, glad to see you back. Looking forward to seeing your challenges and posting your winners on Feline Playful.